I did it! I made it to 80% and then some! I actually feel like the end is almost in sight. Plus I'm posting blog posts two days in a row, so I'm really on the ball! I'm also ahead of schedule to finish this book by Thanksgiving. The vocabulary word of the day is "drowsed" (Pepys spells it "droused") which means pretty much the same as "dozed." Maybe everyone else knew that this was a word, but I didn't. I was familiar with drowsy, but I didn't know there was a verb form. "So I away to the Temple, to my new bookseller's; and there I did agree for Rycaut's late History of the Turkish Policy which costs me 55s. ; whereas it was sold plain before the late fire for 8s. and bound and colored as this is for 20s. 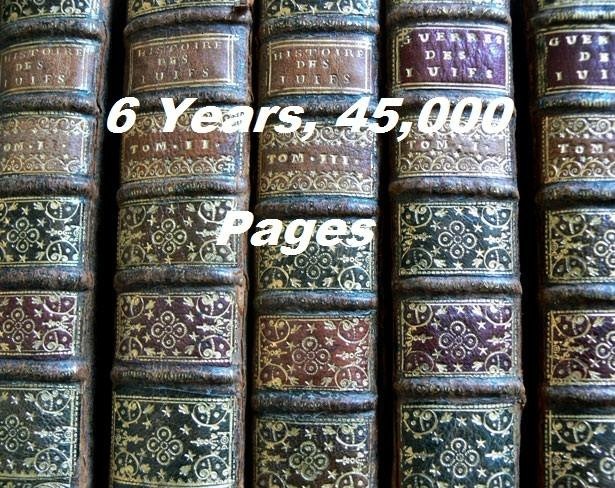 ; for I have bought it finely bound and truly colored, all the figures, of which there was but six books done so, whereof the King and Duke of York, and Duke of Monmouth, and Lord Arlington, had four. The fifth was sold, and I have bought the sixth." "I went away and by coach home, and there find my wife making of tea, a drink which Mr. Pelling, the Potticary, tells her is good for her cold and defluxions."